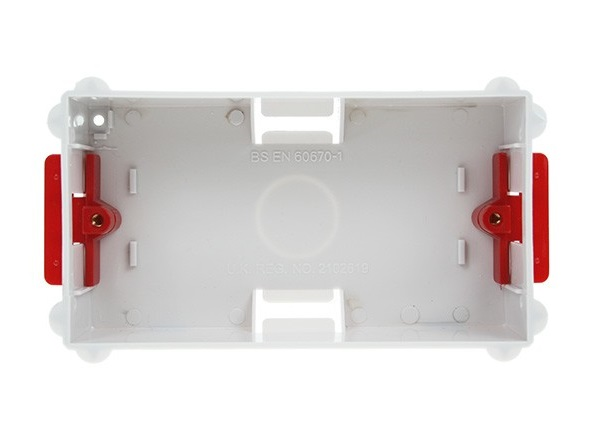 Double Socket Drywall Back Box, for housing electrical switches and sockets. Available in depths of 32mm and 47mm. Available in depths of 32mm and 47mm.